A view through time and history of Liberty Pole Plaza in Rochester, New York USA. A Liberty pole is a tall wooden pole, often used as a type of flagstaff, planted in the ground, which may be surmounted by an ensign or a liberty cap (see Phrygian cap below). A liberty pole was often erected in town squares in the years before and during the American Revolution (Newport, RI, Concord MA, Savannah, GA, New York City, NY, Caughnawaga, NY). An often violent struggle over Liberty Poles erected by the Sons of Liberty in New York City (relating to the Battle of Golden Hill) and periodically destroyed by British authorities (only to be replaced by the Sons with new poles) raged for 10 years: from the repeal of the Stamp Act in 1766 until the occupation of the city by British troops after the Battle of Long Island in 1776. The liberty pole in New York City was crowned with a gilt vane bearing the single word, "Liberty". When an ensign was raised (usually red) on a Liberty Pole, it would be a calling for the Sons of Liberty or townspeople to meet and vent or express their views regarding British rule. The pole was known to be a symbol of dissent against Great Britain. The symbol is also apparent in many seals and coat of arms as a sign of liberty, freedom, and independence. During the Whiskey Rebellion, locals in western Pennsylvania would erect poles along the roads or in town centers as a protest against the federal government's tax on distilled spirits, and evoking the spirit embodied by the Liberty Poles of decades earlier. The Arbres de la liberté ("Liberty Trees") were a symbol of the French Revolution, the first being planted in 1790 by a pastor of a Vienne village, inspired by the 1765 Liberty Tree of Boston. One was also planted in front of the City Hall of Amsterdam on 4 March 1795, in celebration of the alliance between the French Republic and the Batavian Republic. 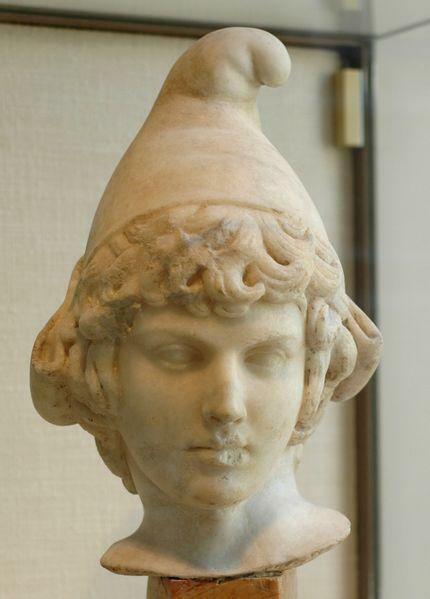 ◄Bust of Attis wearing a Phrygian cap. The Phrygian cap is a soft, red, conical cap with the top pulled forward, worn in antiquity by the inhabitants of Phrygia, a region of central Anatolia. In paintings and caricatures it represents freedom and the pursuit of liberty. From Antiquity to the Normans. The Phrygian cap has two connotations: for the Greeks as showing a distinctive Eastern influence of non-Greek "barbarism" (in the classical sense) and as a badge of liberty among the Romans. The Phrygian cap identifies Trojans like Paris in vase-paintings and sculpture, and it is worn by the syncretic Hellenistic and Roman saviour god Mithras and by the Anatolian god Attis. The twins Castor and Pollux wear a superficially similar round cap called the pileus. In vase-paintings and other Greek art, the Phrygian cap serves to identify the Trojan hero Paris as non-Greek; Roman poets habitually use the epithet "Phrygian" to mean Trojan. The Phrygian cap can also be seen on the Trajan's Column carvings, worn by the Dacians, and on the Arch of Septimius Severus worn by the Parthians. The Macedonian, Thracian, Dacian and 12th century Norman military helmets had a forward peaked top design resembling the Phrygian cap. The same soft cap is seen worn by an attendant in the murals of a late 4th century Thracian tomb at Kazanlak, Bulgaria (illustrated). In late Republican Rome, the cap of freedmen served as a symbol of freedom from tyranny: a coin issued by Brutus in Asia Minor 44-42 BCE, posed between two daggers. 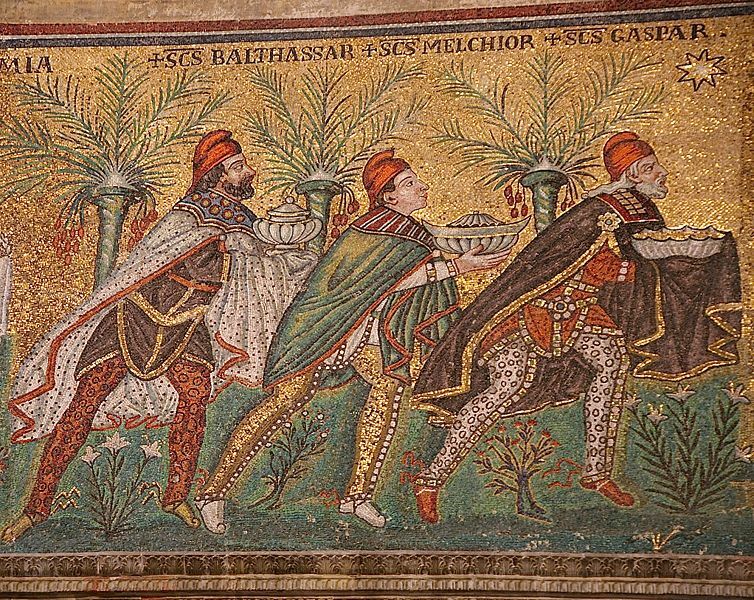 During the Roman Empire the Phrygian cap (Latin, pileus) was worn on festive occasions such as the Saturnalia, and by former slaves who had been emancipated by their master and whose descendants were therefore considered citizens of the Empire. This usage is often considered the root of its meaning as a symbol of liberty. 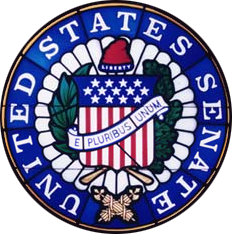 A Phrygian cap on the Seal of the United States Senate.During the 18th century, the red Phrygian cap evolved into a symbol of freedom, held aloft on a Liberty Pole during the American Revolutionary War. The U.S. Army has, since 1778, utilized a "War Office Seal" in which the motto "This We'll Defend" is displayed directly over a Phrygian cap on an upturned sword. The cap was especially adopted during the French Revolution, along with other symbols adopted from classical Antiquity: to this day the national emblem of France, Marianne, is shown wearing a Phrygian cap. The bonnet rouge made its appearance early in the Revolution, first seen publicly in May 1790, both at a festival at Troyes, adorning a statue representing the Nation, and at Lyon, on a lance carried by the goddess Liberty. In 1792, when Louis XVI was induced to sign a constitution, popular prints of the king were doctored to show him wearing the bonnet rouge. The bust of Voltaire was crowned with the red bonnet of liberty after a performance of his Brutus at the Comédie-Française in March 1792. By wearing the red Phrygian cap the Paris sans-culottes made their Revolutionary ardour and plebeian solidarity immediately recognizable; during the period of the Terror, the cap was adopted defensively even by those whose politics might be denounced as moderates or aristocrats and were especially keen to advertise their adherence to the new regime. The cap was also incorporated into the symbol of the late 18th century Irish revolutionary organisation the Society of the United Irishmen. The English Radicals of 1819 and 1820 often wore a white "cap of liberty" on public occasions. Many of the anti-colonial revolutions in North and South America were heavily inspired by the imagery and slogans of the American and French Revolutions. As a result, the cap has appeared on the coats of arms of many Latin American nations. 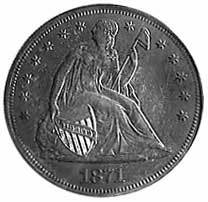 An effigy of "Liberty" was shown holding the Liberty Pole and Phrygian cap on some early United States of America coinage (pictured right). 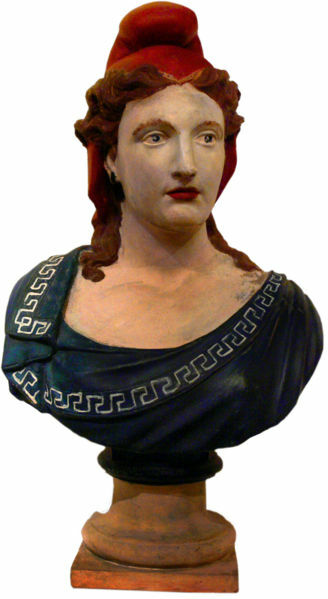 In 1854, when sculptor Thomas Crawford was preparing models for sculpture for the United States Capitol then Secretary of War Jefferson Davis (later to be the President of the Confederate States of America) insisted that a Phrygian cap not be included of a statue of Justice on the grounds that, "American liberty is original and not the liberty of the freed slave." The cap was not included in the final marble version that is now in the building. The seal of Dickinson College, in Carlisle, Pennsylvania, also contains a Liberty Cap. The college, endowed by Founding Father John Dickinson at the behest of Benjamin Rush, was the first to be chartered in the new Republic. Washington Irving also propounded the surprise of his famous protagonist, Rip Van Winkle, by noting among the unexpected details of the re-awakened Rip's newly post-revolutionary village a "tall naked pole, with something on it that looked like a red night cap..."
Phrygian cap is also a term used for an anatomical variant of the gallbladder seen in 1-6% of patients who have ultrasound exams or contrast studies of their gallbladders. It is caused by a fold or division at the point where the tip of the gallbladder (the head) joins the main part of the gallbladder (the body), and is named for its resemblance to the cap above. Apart from being the chance of being mistaken for stones on ultrasound, it has no other medical implications nor does it predispose one to other diseases. The revolutionist protagonists of Robert A. Heinlein's The Moon Is a Harsh Mistress often wear a liberty cap. It is referred to exclusively as such. It becomes a fashion article at one point, and is once placed on a telephone terminal open to the A.I. character "Mike." The popular cartoon characters The Smurfs, are famous for their white Phrygian caps. Cornish piskies wear Phrygian caps symbolising proto-Celtic origins and magical powers in Mystic Rose - Celtic Fire by Toney Brooks. The song "Then She Appeared" by rock group XTC contains the line "Dressed in tricolour and Phrygian cap"
Copyright © 2007-2012 TheLibertyPole.org. All Rights Reserved.